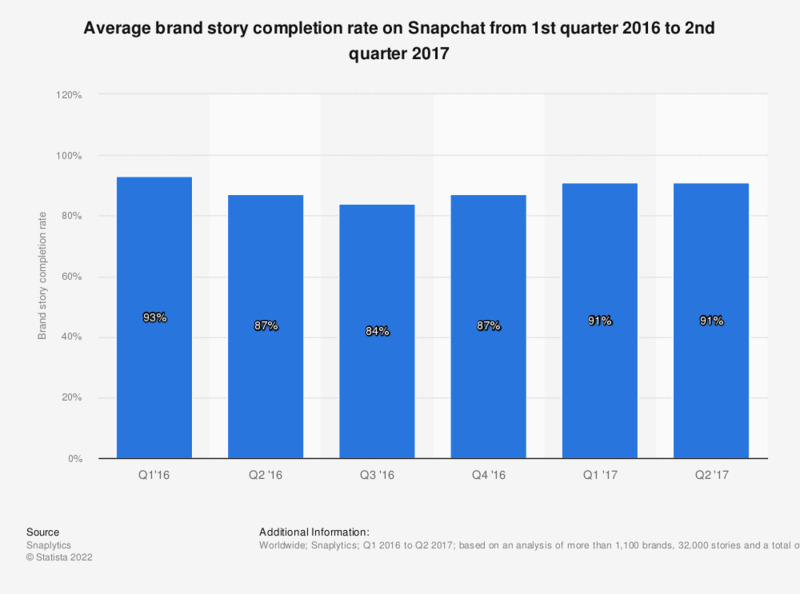 This statistic presents the completion rate of story posts by brands on Snapchat from the first quarter of 2016 to the second quarter of 2017. As of the last measured period, the overall brand story completion rate was 91 percent. According to the source, shorter stories lead to better completion rates.